Exercises in the VSD: how to choose the right one? 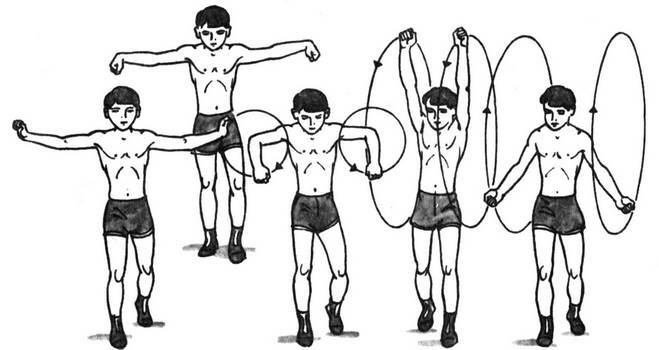 For the prevention and treatment of vegetative-vascular dystonia, exercises are often used. They are selected for each patient individually, taking into account the rules of physiotherapy. If the exacerbation of VSD is especially frequent due to hypodynamia, then the appropriate physical activity is recommended in the first place. Exercises, or exercise therapy, in the VSD are included in the main treatment complex of the disease, the purpose of which is often the need to improve the mood of the patient and give him more confidence. With the help of properly selected physical training it is possible to normalize the tone of the vessels and the function of the brain, stress stress is eliminated. As a result, the body has a restorative effect, which in turn helps to increase its adaptive capacity and performance. Physiotherapy - the main method of treatment VSD, which is often based on various kinds of movements and other similar physical activity. There are different types of VSD, so the exercises are selected taking into account the nature of the course of the disease. Most often in a set of exercises with VSD include those that affect the spine. Additionally, we use relaxing, respiratory and restorative physical activity. Particular attention is paid to the adaptation of patients to stress, which makes it possible to improve their general condition. The state of disadaptation of patients with vegeto-vascular dystonia is of great importance in the progression of the disease, often causing an exacerbation of the pathology. Any manifestation of poor adaptation of the patient aggravates the clinical picture of the disease, leads to its destabilization, and is therefore directly related to temporary disability. Small sports training: easy running, swimming, skiing, just a walk (normal, express, batcher or wellness); alternating walks with jogging and exercise, ultraviolet and air baths. Patients with vegeto-vascular dystonia during labor are recommended to make a therapeutic pause: every 1.5-2 hours of work, light breathing exercises are performed followed by relaxation for 10-12 minutes. This method helps to prevent fatigue and improve work efficiency. Physical therapy can be restorative and improve the performance of individual organs and body systems, as well as relieve headaches, pain in the heart, respiratory disorders, etc. Exercises for vegetative-vascular dystonia are aimed at improving adaptation to physical stress by increasing the excitability of the central nervous system and improving the regulatory functions of the autonomic nervous system (VNS). There is also an effect on the intensity of metabolism (catabolic and anabolic processes) with the replenishment of the energy reserve. Training therapy leads to an increase in activity of blood flow in the capillaries and transcapillary exchange. Therapeutic exercises and physical activity in general have so far been little studied, but many have a favorable effect on the body, since internal oscillatory processes are created that are related to the overall dynamics of the development of the organism. Physical therapy uniquely has a positive effect on the mental and endocrine functions of the body. The following most rational principles of physiotherapy in the treatment of vegetative-vascular dystonia are noted. combination of physical therapy with breathing exercises and elements of rational psychotherapy. Modern medical wellness programs, in which physiotherapy has a dominant role, are used to prevent headaches, pain in the heart and respiratory syndrome. Along with physical therapy, they include elements of psychotherapy, reflexotherapy, bioelectric effect. Each type of exercise has its own specific effect on the body as a whole and its individual functional characteristics in particular. During the practice of physical exercises it is noted that when the load increases in strength and duration, in some patients general health worsens. In such cases, an additional reception of adaptogens is recommended. These synthetic or natural substances have a beneficial effect on the performance of physical exercises and prepare the heart and blood vessels to perform physical exercises. Many of these drugs reduce the heart rate, have an antihypertensive effect and affect the metabolic processes under the conditions of clearance. Adaptogens affect the immune processes, increase the body's resistance and thereby create conditions for a calm perception of unfavorable environmental conditions. Vegeto-vascular dystonia can be associated with various types of hemodynamics: blood pressure is elevated or decreased. Accordingly, the exercises are selected such that they do not violate the general condition of the patient. At the initial stage of exercise therapy, the pulse and blood pressure must be determined. After the exercises, these indicators are also measured, which allows you to monitor the performance of the cardiovascular system. They are aimed at raising the tone of the body, so jumps, fast running can be used. Exercises are made at the gymnastic wall, and also with dumbbells. There can be performed skiing or exercising on the simulators. To increase the level of self-control and general muscle tone, accelerating exercises are performed followed by relaxation. In addition, you can use a contrast shower. Preferably use quiet classes such as skiing, quiet walking, swimming, slow running. Also simulators can be used, but only under the control of pulse and blood pressure. If there is a desire to run, then only with the practice of breathing through the nose. If dyspnea occurs or if you switch to breathing with your mouth, you need to reduce the load. Performing general strengthening exercises that can improve the condition of the muscles of the abdomen, thighs, spine, neck, shoulder girdle, tibia and feet. The complex of exercises must necessarily include stretching elements, improving coordination and balance. Exercises to alternate muscle relaxation and tension can improve self-control. Common restorative exercises should be supplemented with respiratory and diaphragmatic breathing. When exercising on simulators, you must adhere to a uniform and calm pace. Virtually all patients with VSD are recommended slow running and walking, health swimming, volleyball and basketball, bicycle, skates and skis. It is not recommended to participate in gymnastics, light or heavy athletics, jumping, tennis and boxing. Morning warm-up allows you to start the day with a cheerful note, fill with a charge of vivacity, which immediately positively affects your overall well-being. Correctly conducted morning exercises activate all life processes, the body is tuned to the working rhythm. Charging is mainly aimed at stretching and strength exercises. The influence of sport (especially power) is much more noticeable in the morning. Also, charging at home takes much less time than attending a fitness club, even near the house. Therefore, even in a very tight schedule, it is worthwhile to carve out in the morning time for exercises that are useful in the VSD. First, to relax better, a small warm-up is done, which takes several minutes. Such movements are performed first clockwise, and then counterclockwise. Warm up the shoulder joints . The hands are lifted up, then the "scissors" are made at the chest level and after that rotational movements are performed clockwise and counterclockwise. Body warm-up. The body is tilted forward and to the side, then rotational movements of the pelvis are performed alternately in both directions. Warm up the legs . In turn, both elongated legs are raised forward, backward and to the side. If the ligaments do not allow such movements to be performed, then it is possible to limit oneself to bending legs with mahas. Warm-up leg joints . Flexion-extension in the knee joint. Next, sitting with elongated legs perform rotation around the ankles alternately in both directions. After the warm-up they pass to the basic exercises, which should last at least 5 minutes. If necessary, you can reduce the proposed options for stretching and strength exercises. Well suited for women. Promotes the development of body flexibility. They stand on their feet, assembled together or located at a distance of 10-15 cm from each other. Tilt forward, it is desirable to touch your hands to the floor without bending your knees. Sitting on the floor with straight legs, the leans forward are performed, with the back being straight, and with the chest cage trying to touch the knees. Lying on your back, raise your legs so that you touch the feet behind your head with your fingers, while in your knees you should try not to bend your legs. They make a gymnastic bridge, in this morning it is best to perform the exercise from the prone position, since the ligaments are not yet fully heated, and the balance after sleep can be inadequate. Standing with their legs wide apart, they try to sit on one foot, while the second remains straightened. Then they move from one leg to the other, trying not to straighten, but to remain squatting. Lying on the abdomen, the legs are bent at the knees, the upper part of the trunk rises and hands need to grasp the ankles. A similar position of the parachute must be maintained for a few seconds. Lying on the back of the legs bend at the knees, then, without lifting the scapula from the floor, you need to touch the floor with your knees on one side, and then on the other. All exercises should preferably be done slowly, systematically, you can even under calm or, conversely, encouraging music. In the warm season, a suitable place for warm-up is a square, a park or at least a loggia / balcony with open windows. 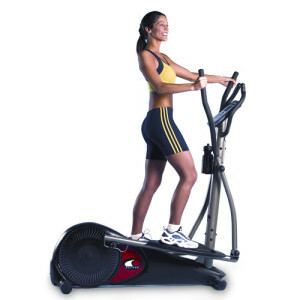 This complex of exercise therapy in the VSD is suitable for more or less trained women and men. If the presented morning exercise is the only significant physical activity throughout the day, then the exercises of this complex will help to keep the desired shape. Ideal option, when a sufficient amount of time after warm-up and stretching done the proposed strength exercises. Squatting . It is carried out to easy fatigue. Useful for the front surface of the feet, which first work dynamically, and back - statically. Also, the buttocks, hamstrings and calf muscles, spinal extensors and many other components of the muscular apparatus are involved. Push-up . It is also done to easy fatigue. Allows you to load the chest, triceps, partially deltoid muscle. Vertical push-up . Hands are installed near the wall, legs are thrown up and feet touch the walls, which allows you to maintain balance. Bending your arms in the elbows, you need to try to lower yourself, until you get to lightly touch the head of the floor, and then lift the whole body upward, as if pushing yourself. This exercise successfully compensates for the lack of load on the deltoid muscles with the usual push-up. Pulling . For this, it is best to use a horizontal bar. Ideal for forming the muscles of the upper body in men.